This is one of the better books I have read on writing research proposal and or theses. Each section of the process is carefully and concisely described. I found the sections on creating a theoretical framework, writing a literature review, and selecting a research methodology particularly helpful. The book is expensive at $70, but would be an essential resource for graduate students. This is a must read for any serious teacher who wants their teaching practice based on evidence and solid research. Base on over 900 meta analyses, Hattie provides a solid list of areas to focus on when teaching. I found the book hard going at times - dense and somewhat hard to bring altogether. That said, you can always pick and chose areas you want to focus on. Also a great resource for a graduate student preparing a literature review. At $30, it is a good resource to add to your collection. This is a very good resource for getting up to speed on Online learning and the Communities of Inquiry Model of how it all works. The concepts of social, cognitive, and teaching presence are explained really well and supported by extensive research. In my mind, this is the leading model for examining online learning, but not necessarily e-learning. I think the title may be misleading. 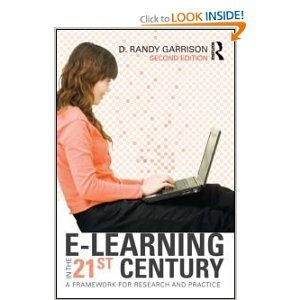 Nonetheless, a must buy if you are interested in research and practice in online learning. This type of book is rare because it offers an explanation of how to use the technology and then combines it with solid ideas of how to integrate it into the classroom. Furthermore, the author's own journey learning and using these tools is presented and helps the reader connect with the process of technology change and integration. Lots of really useful ideas (and I am aware of many tools already). 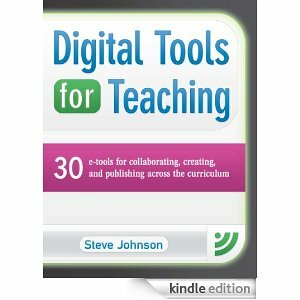 I highly recommend this book for any instructor who wants to increase their use of technology in a meaningful way. 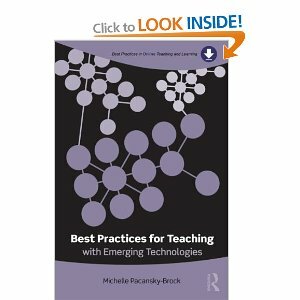 This is another really good book for helping teacher to integrate technology in the classroom. Each tool is presented clearly and concisely and the best part is there are clear suggestions for how to use the tools in a variety of subject areas (e.g., math, science, English, social science). This is a resource who will use often if you are serious about moving to the next level of technology use in your classroom.